For Costco customers, Costco provides a range of home security solutions that are designed to work with and without monitoring subscriptions. There are a number of residential and commercial options available through Costco, which can make purchasing a home security system through Costco quite complex. At its core, Costco operates in partnership with Link Interactive, which provides both DIY and professional security solutions. Costco also has some additional products available for those who are trying to increase the security of their home. 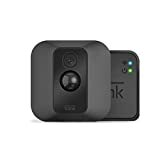 Link Interactive is an all-inclusive home security company that is known by most people for its partnership with membership-only retailer, Costco. Along with selling the product via Costco and offering discounts for Costco Members, Link partnered with Alarm.com. Link Interactive provides both security and home automation services, which can be installed by homeowners and then monitored through a professional service or by the owners themselves. There are multiple packages ranging from $99.99 to $399.99 and basic monitoring services begin at $29.99. Link Interactive is, according to many, a stable and robust platform that suffers from one notable issue: it can be difficult for homeowners to self-install. Further, though it has fairly solid upfront costs, it has higher-than-average subscription pricing. Link Interactive is reported to have fairly solid customer service, with customer service professionals responding very quickly to comments and complaints. However, Link Interactive does come with a three year contract, which many homeowners may feel is simply too much. The problems that owners experience when setting up their technology, such as an inability to connect cameras to WiFi, could ultimately tamper with the effectiveness and convenience of this solution. Q-See. Q-See provides a wide assortment of camera security systems, primarily for business owners who are interested in reviewing and recording what occurs around their property. First Alert. Costco provides First Alert detectors for carbon and monoxide, both wireless and hardwired, though these would need to be installed separately from any existing security solution. Lorex. Lorex also has a number of cameras, including IP-based cameras, which can be installed in either traditional, mounted camera form or as a “domed” camera that can be attached to ceilings. AvertX. AvertX only has a few products with Costco, as a mid-range camera solution that is designed to work with an Internet connection. Panasonic. A full HD, 1090p indoor securiy camera is available through Costco, which is an affordable choice for those who simply want to be able to check on a room themselves periodically. Samsung. Samsung offers a panning “smart” camera that includes the ability to tilt. However, these single camera systems are not designed to be monitored. Ring. 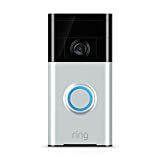 Ring is a doorbell camera that also works with an app, so you can see exactly who is ringing your doorbell and be wary if there are strangers present. As you can see, much of the technology available directly through Costco is centered on a hub and video cameras. To get sensors, such as door and window sensors, homeowners may need to go through a company such as Link Interactive. It’s important to note that Costco itself does not sell or guarantee home security services, they simply sell home security products with third-party subscriptions to security services. Due to this, those who are banking on Costco’s solid products and customer service may not be able to acquire that customer service experience through a home security system that is sold through Costco. Costco sells a large number of home automation and home security solutions, some of which are better than others. Homeowners interested in “DIYing” their security solution will need to do their research, locate the right products, and find a monitoring service that works well for them. It can be difficult to do all the research on your own. If you simply want best-in-class technology to improve your home security, there’s always Protect America. Contact Protect America today for a no obligation quote regarding your security needs.